Think twice before posting photos of your imaginary suntan online: Google could be sifting through your latest vacation snaps for an unforeseen ulterior motive. 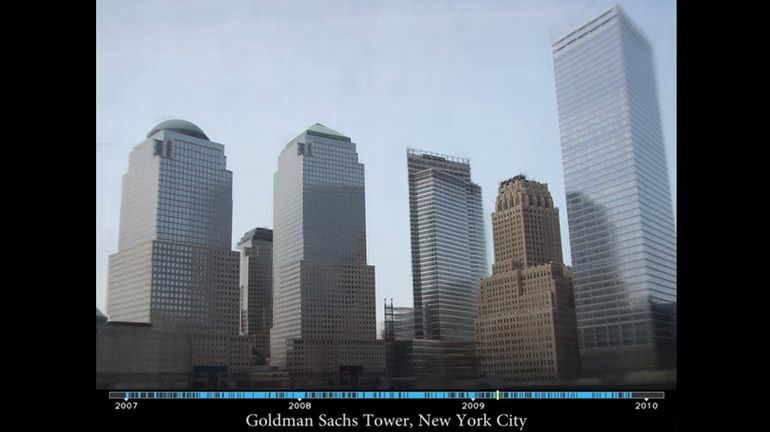 The search engine giant teamed up with researchers at the University of Washington to cull public photographs of iconic landmarks from the Internet and stitch them together in chronological order. The resulting time-lapse videos show glaciers shrinking, waterfalls ebbing and flowing, and skyscrapers rising as if made from matchsticks. 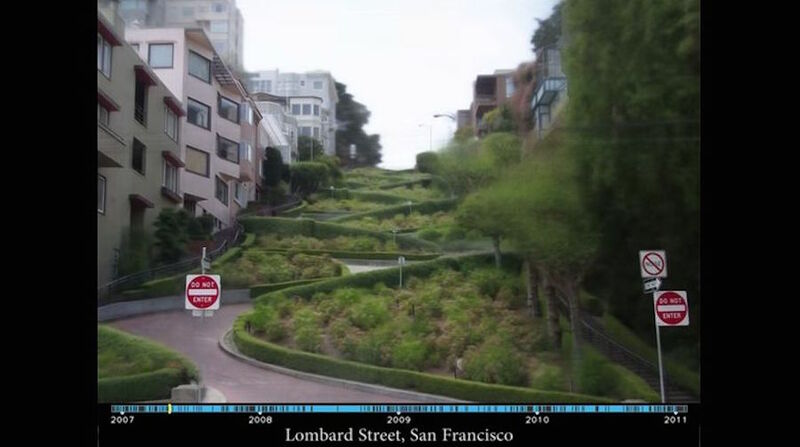 While time-lapse photography normally requires a photographer to plant his equipment in one location for months or even years on end, the researchers developed an algorithm for creating their own time-lapses without leaving the lab. Given the deluge of near-identical photos of world-renowned landmarks being snapped and uploaded to the Internet every day, the team sorted through 86 million photographs of 120,000 landmarks taken from common photo angles. They ordered each photo by date, warping the subject to make it appear as if taken from the same viewpoint. 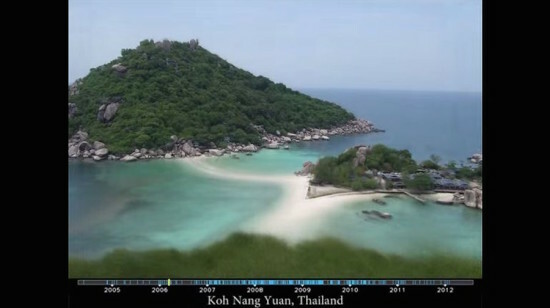 The team’s custom-built algorithms helped automate the search process and altogether disguise the differing camera angles so as to be unnoticeable when viewed in sequence. This stabilization process also compensated for changes in light conditions to minimize flickering between frames. 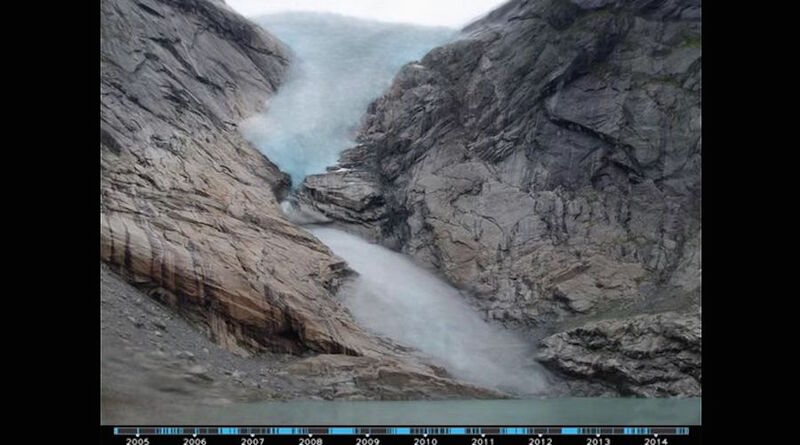 Of the 10,000 time-lapse sequences of 2,942 landmarks generated, the most powerful ones include the disconcerting decline of Norway’s Briksdalsbreen Glacier, the construction of New York’s Goldman Sachs tower, and the shifting sandbars off the coast of Thailand as the water changes color. Each time-lapse video is made from over 300 images. “Whereas before it took months or years to create one such time-lapse, [with our algorithms] we can now almost instantly create thousands of time-lapses covering the most popular places on earth,” Ricardo Martin Brualla, David Gallup, and Steven M. Seitz wrote in a paper documenting their work, which they dub “time-lapse mining”. Posited as an alternative to seeing life through a “fixed temporal scale,” the researchers say time-lapse technology creates “a new paradigm for visualizing global change” and is just the tip of the melting, shifting, reconfiguring iceberg.